Designed by Brain Factory. 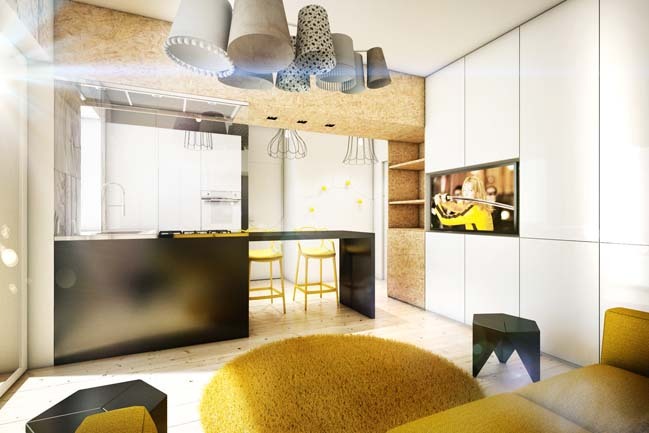 Yellow Touch is a small apartment with only 25 square meters but it's a comfortable living space and functional in the use for young singles in Rome, Italy. 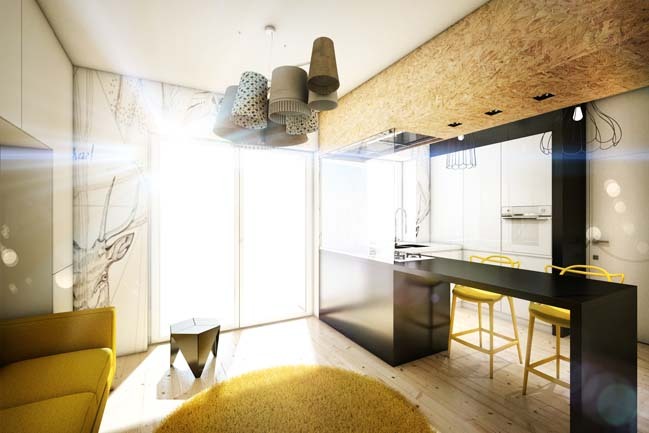 Archtiects's description: The open-plan living area, illuminated by a large terrace, includes a kitchenette, a comfortable work plan that acts as a table, a sofa bed and full height cabinets that create an habitat exploited to the last inch. 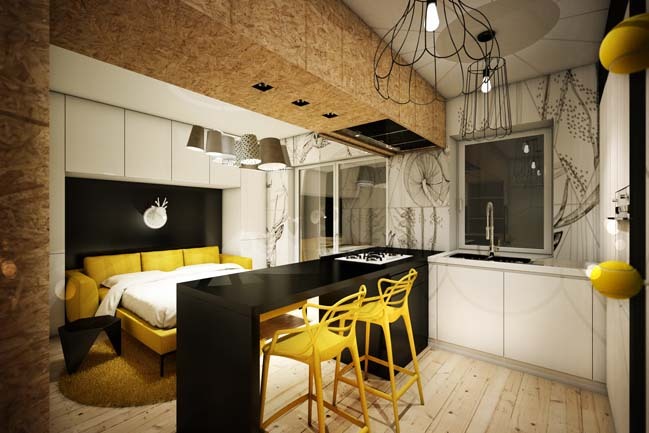 In this way it optimizes an environment of small dimensions without giving up the comforts of a larger apartment. 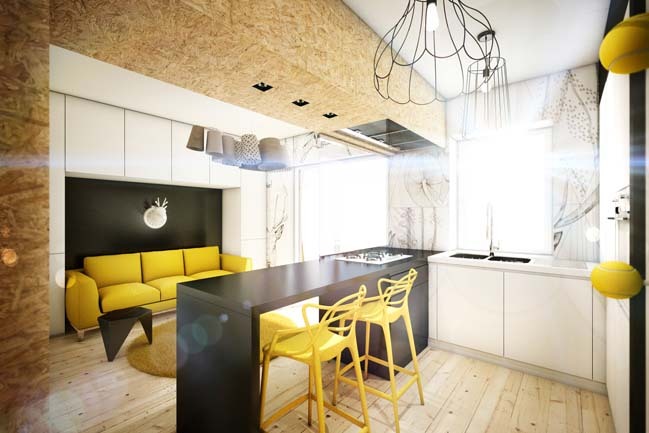 Element of architectural tension is the beam in chipboard wood fiber, which conceals inside itself various functions: the hood of the hob and the light fixtures recessed. The color palette in shades of yellow and black creates a contrasting bright and contemporary at the same time; the lighting has an industrial appeal while the minimal and essential decor stands out in a unique way on the floor in natural fir effect stoneware. 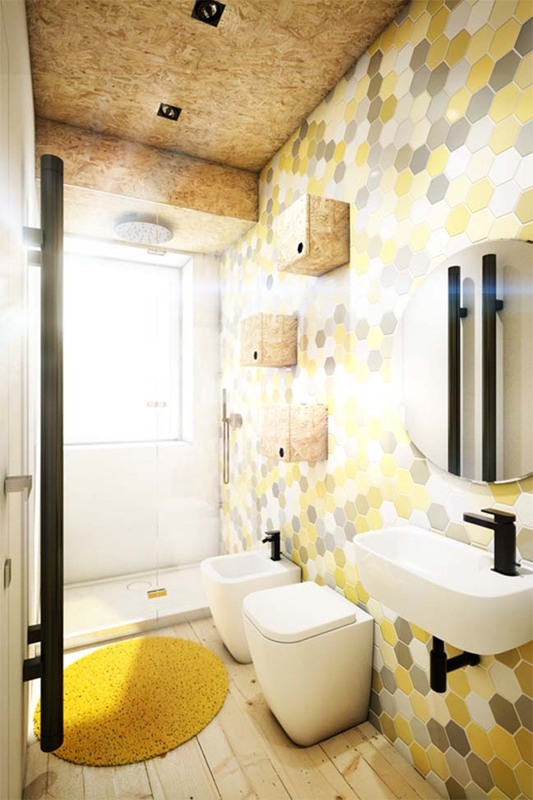 In the bathroom they return the same finishes: the ceiling and the cabinets are modeled in wood fiber chipboard while the walls play on a hexagonal weave by multiple shades.